Swing Type Check Valve - 1 1/2" Clear PVC Socketed Swing Check Valve. Slip x Slip Designed to be used any place where you want to stop backflow and siphoning. 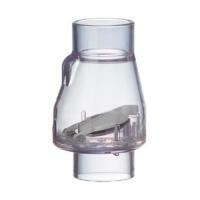 Saltwater Safe Flapper Style 1 in. Check Valve [Slip x Slip]. 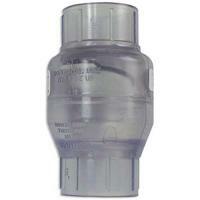 Designed to be used any place where you want to stop backflow and siphoning.